Just ahead of the CES 2018 trade show in Las Vegas last month, Samsung had announced the new Exynos 9810 SoC built on its second-generation 10nm FinFET process node. The company had claimed that the chip is its most innovative mobile processor yet, and will be targeted at AI applications and richer multimedia content. The SoC is tuned for neural network-based deep learning algorithms, stronger security, and enhanced image processing, and is said to be much faster than its predecessor, both in single-core as well as multi-core performance. According to Ben Hur, vice president of System LSI marketing at Samsung Electronics, “The Exynos 9 Series 9810 is our most innovative mobile processor yet, with our third-generation custom CPU, ultra-fast gigabit LTE modem and, deep learning-enhanced image processing. (It) will be a key catalyst for innovation in smart platforms such as smartphones, personal computing and automotive for the coming AI era”. 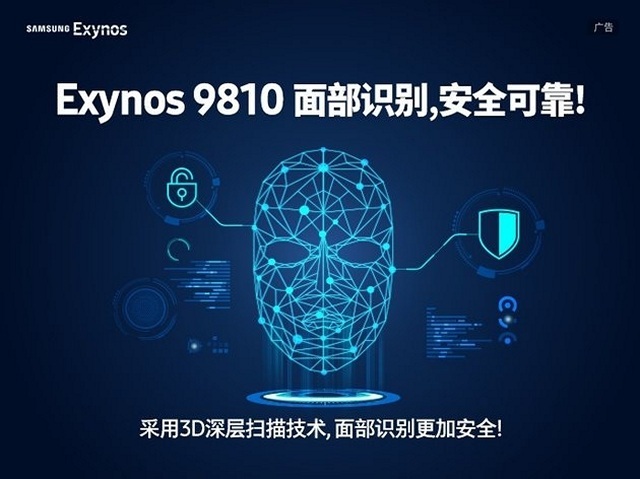 Exynos 9810 enables a depth sensing feature to scan user’s face in 3D for face tracking filters as well as strong security when unlocking a device with one’s face. The company has now reiterated the chip’s 3D scanning capabilities, even releasing an official slide that seems to show off the feature in action. The script’s in Korean, so none of us here at Beebom could decipher any of it, but as you can clearly see, it refers to the Exynos 9810 in no uncertain terms. So why is this important? Well, because this is the chip that will be powering some variants of the Galaxy S9 and S9 Plus that will be launched later this month at Barcelona. Various leaks over the past few weeks have given us some insight about the upcoming devices that are already said to have ‘Intelligent Scanning‘ capabilities, but there’s no word on whether that means we’ll see something similar to the iPhone X’s Face ID. While it’s difficult to say anything for certain at this time, the fact that the Exynos 9810 actually has 3D Scanning capabilities means it will be a crying shame if the upcoming devices don’t offer sophisticated and trustworthy face recognition features. Come to think of it, with Apple already surpassing Samsung’s shipments last quarter, this is as good a time as any for the South Korean consumer electronics giant to get back to the top by beating – or at least matching – Apple at its own game.